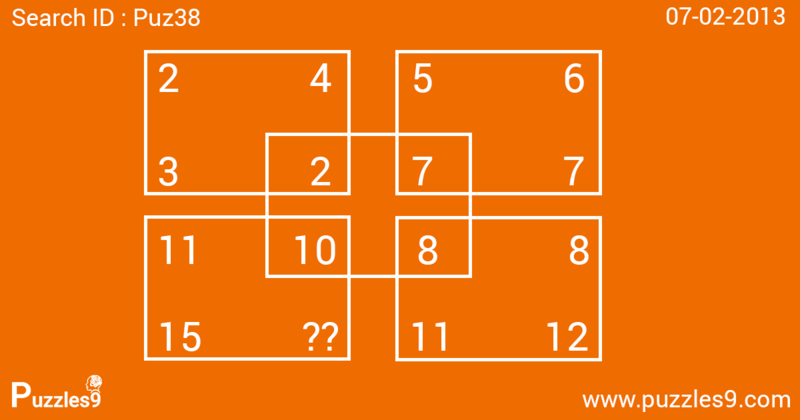 which number replaces the question mark ? Starting in the top left square and moving clockwise, numbers increase in sequence by 2,3,4 and 5, keeping their corresponding positions in each squares. 4,6,8,10 – change by 2. 2,5,8,11 – change by 3. 3,7,11,15 – change by 4. 2,7,12,17 – change by 5.